The following post offers a brief discussion of some of the oxygen isotope evidence for long-distance contact and migration between Britain and other parts of the world in the early medieval period and before. The particular focus here is on those individuals excavated in Britain whose results are above the expected range for people who grew up on these islands, indicating that they could well have spent part of their childhood in southern Iberia and/or North Africa. 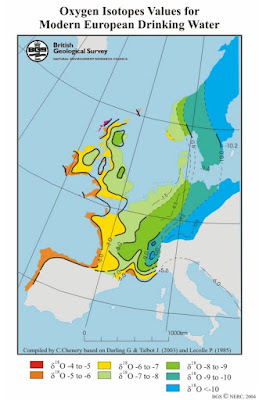 The British Geological Society map of the oxygen isotope values of modern European drinking water from 2004; click for a larger view (image © BGS/NERC, reproduced under a non-commercial/academic, educational and instructive licence, as detailed on the Wessex Archaeology & BGS websites). What follows offers a look at some of the sites that include burials of people whose dental enamel oxygen isotope results are at the highest end of the British range and beyond and so are potentially migrants to Britain from southern Iberia and/or North Africa, starting with the early medieval era and working backwards to the Bronze Age. A survey of dental enamel recovered from four early medieval cemeteries in South Wales reveals at least twelve individuals spread across three of the cemeteries who have oxygen isotope values above the upper end of the British range, representing more than a third of the total number of individuals investigated from these burial grounds. (4) Four of these people are defined as 'marginal', having results only just above 18.6‰ δ¹⁸Op, the conventional upper cut-off for phosphate oxygen isotope values from the British Isles, and so could possibly still represent people who grew up on the extreme western coast of Ireland, the Outer Hebrides or the Lands End area, where δ¹⁸O drinking water values are at their highest (-5.0‰ to -4.5‰ δ¹⁸Odw). The other eight individuals, however, have what are described as 'notably enriched δ¹⁸Op values', clearly above the conventional δ¹⁸Op upper cut-off for Britain and reflecting the consumption of water with δ¹⁸Odw values noticeably higher than the maximum British level of c. -4.5‰, and five of them moreover have very significantly enriched values, indicative of their childhood consumption of drinking water that had δ¹⁸Odw values ranging up to a maximum of around -3.3‰, well over 1‰ above the highest values found in Britain. In this context, it is worth noting that water oxygen isotope values above the British range and between -4.5‰ and c. -4.0‰ appear only to be encountered in Europe in small areas of south-east and south-west Iberia and are otherwise restricted to North Africa or further afield. Values between -4.0‰ and -3.5‰ are again found in North Africa but are even rarer in Europe, being only reported from a small area around Cádiz, southwest Spain, where groundwater values as high as -3.5‰ have been noted, whilst even higher values up to 0‰ and beyond are encountered only in Africa and Arabia. (5) As such, the above oxygen isotope results from early medieval South Wales are clearly of considerable potential interest to historians and archaeologists. The geographic distribution of areas outside of the UK with rainwater oxygen isotope values above ‑5.0‰, shown in dark blue; all twelve of the people from South Wales discussed above consumed water with a δ¹⁸O level of c. ‑4.5‰ or higher (up to c. ‑3.3‰) in early life. Note, only 1% of the UK has δ¹⁸Odw water levels above ‑5.0‰, up to a maximum value of c. ‑4.5‰, but as the map shows, such levels are widely encountered throughout North Africa and in small areas of southern Europe. Levels above ‑4.0‰ are even more restricted in extent, being only recorded in Europe from a small area around Cádiz, southwest Spain, and are otherwise confined to North Africa, whilst levels above c. ‑3.5‰ are only known from North Africa and further afield. 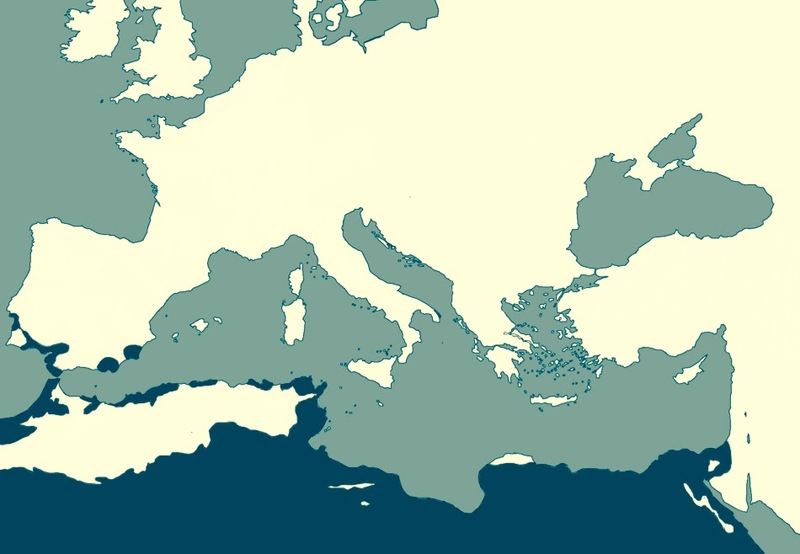 Image: C. R. Green, based on data from the sources cited in fn 3, especially Evans et al 2012 and Bowen 2003–15, utilising a Wikimedia Commons map of the Mediterranean region as a base. With regard to the interpretation of this evidence, several points need to be made. 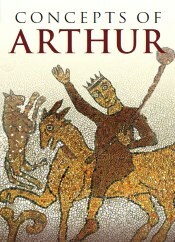 First and foremost, it should be remembered that there is now a significant body of archaeological evidence that is usually thought to indicate the direct importation of goods from North Africa and the eastern Mediterranean into western Britain in the post-Roman period, probably beginning in the late fifth century AD and continuing into the sixth. The evidence for this consists of finds of Mediterranean amphorae sherds, used for transporting wine and olive oil, along with sherds of African Red Slip-Ware (ARSW) from the Carthage region and Phocaean Red Slip-Ware (PRSW) from western Asia Minor, with north-eastern Mediterranean material dominating the trade at first followed by surge in North African imports in the middle third of the sixth century AD. This material is primarily found at the important post-Roman high-status promontory fort of Tintagel, Cornwall, but it also occurs more widely throughout the south-west and along the western coast of Britain, including in South Wales, and is thought to have potentially arrived in Britain as a result of direct (and directed) imperial trade aimed primarily at procuring tin in the period c. 475–550. (6) Needless to say, this direct trade between the Mediterranean and Atlantic Britain supplies an obvious context for the apparent presence of migrants from southern Iberia and/or North Africa revealed by the isotopic material mentioned above, and it is indeed considered the most credible interpretation by the authors of the dental enamel survey. Bamburgh Castle viewed from Holy Island (image: Akuppa, used under its CC BY 2.0 license). North African unguentaria from Grave 82 at the Late Roman cemetery, Lankhills, Winchester (image: Oxford Archaeology, reused under their CC BY-SA 3.0 license). Isotopic analysis has been undertaken for a number of cemeteries from Roman York. One is the extremely unusual all-male cemetery at Driffield Terrace, York, where more than half the individuals interred had been decapitated. Teeth from eighteen individuals were sampled from 6 Driffield Terrace, three of which had oxygen isotope values at or just above the conventional upper cut-off for the British Isles and another of which had a result far above this, of 19.8‰ δ¹⁸Op, indicating the childhood consumption of drinking water with a value significantly above -3.0‰. Similarly, the remains of 43 individuals from the Trentholme Drive and The Railway cemeteries at York were subjected to isotopic analysis. Five of these had oxygen isotope results above the British range and three moreover had values that were very significantly above this, indicative of the childhood consumption of drinking water with values of -3.12‰, -2.87‰ and -2.31‰, respectively. 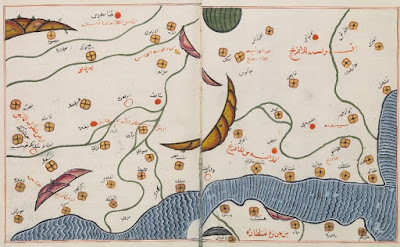 (13) As was noted above, drinking water with such enriched values as these is not encountered in Europe and is instead indicative of an origin in North Africa. 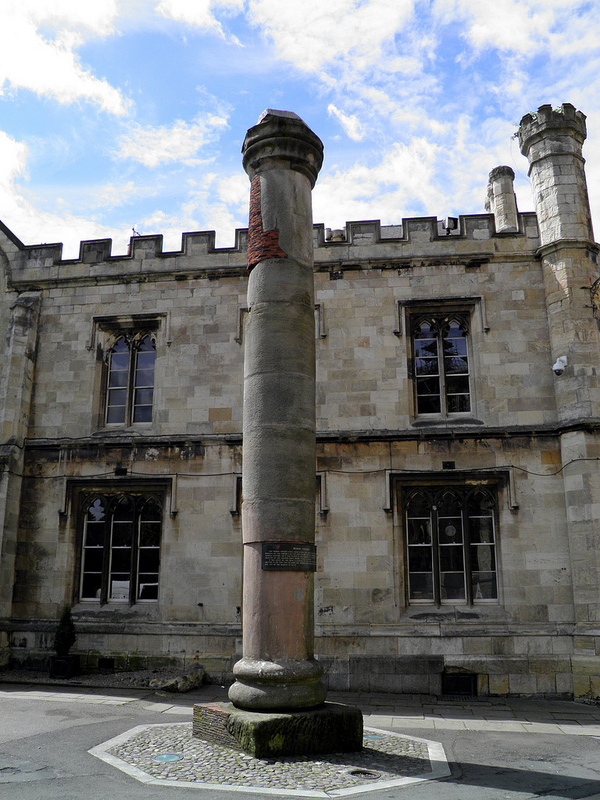 A re-erected Roman column at York; this once stood within the great hall of the headquarters building of the fortress of the Sixth Legion at York (image: Carole Raddato, used under its CC BY-SA 2.0 license). A Sicilian strumento of c. 1200–1100 BC, found on the sea-floor at Salcombe, Devon, with other Bronze Age items from a probable twelfth-century BC shipwreck (image: British Museum). Several key points emerge from the above summary of burial sites producing oxygen isotope evidence indicative of the presence of people from North Africa and southern Iberia in Britain between c. 1100 BC and c. AD 800, three of which are highlighted here by way of a conclusion. First and foremost, it is important to note that at least some migrants from these areas appear to have been present in Britain during all periods from the Late Bronze Age onwards. 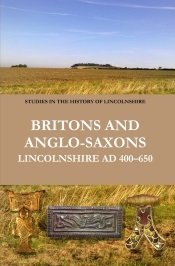 Whilst the presence of people from North Africa in Roman Britain is to a large degree unsurprising, as they are otherwise attested via literary and epigraphic sources, the fact that it can be shown that people from these areas were very probably also present in Bronze Age, Iron Age and early medieval Britain is a point of some considerable interest. Second, the proportion of such individuals in each of the cemeteries surveyed is significant. For example, around a fifth of those buried in the Cliffs End prehistoric cemetery have oxygen isotope values probably indicative of such origins, as do around a quarter of those tested from the three early medieval cemeteries in South Wales and the Late Roman cemetery at Winchester, whilst at Roman Gloucester the proportion may be as high as a third. In this context, it is interesting to note that the anthroposcopic/craniometric analysis of two Roman cemeteries at York similarly points towards the presence of a potentially large number of people whose own or family origins lay in North Africa, with 11%–12% of those examined considered very likely to be of 'African descent', and yet others thought to have potential 'mixed' or 'black' ancestry, up to a possible maximum of 38% of the population buried at Trentholme Drive and 51% of the population in the higher-status The Railway cemetery. Of course, the sites and cemeteries surveyed here are likely to be to some extent exceptional, being located either at local capitals or close to the coast, but these results are nonetheless fascinating and certainly imply that some areas of Britain, at least, saw a degree of immigration from North Africa and/or southern Iberia in the early medieval period and before. Finally, it is interesting to note that the potential migrants to Britain from North Africa and/or southern Iberia discussed above include men, women and non-adults, implying that contact between Britain and these areas was not solely the preserve of male mercantile or military groups, as has sometimes been assumed. Indeed, in some cases women and non-adults actually form the majority of the migrants identifiable there via oxygen isotope analysis, as is the case at Winchester and in South Wales. 1 On current approaches to oxygen isotope analysis and the underlying methodology, principles and issues, see, for example, J. A. Evans, C. A. Chenery & J. Montgomery, 'A summary of strontium and oxygen isotope variation in archaeological human tooth enamel excavated from Britain', Journal of Analytical Atomic Spectrometry, 27 (2012), 754–64 and Supplementary Material I (14 pp. ), and C. Chenery et al, 'Strontium and stable isotope evidence for diet and mobility in Roman Gloucester, UK', Journal of Archaeological Science, 37 (2010), 150–63. The current post follows the interpretations and approaches to those individuals with notably enriched dental enamel oxygen isotope results adopted in these studies and also in other recent publications such as K. A. Hemer et al, 'Evidence of early medieval trade and migration between Wales and the Mediterranean Sea region', Journal of Archaeological Science, 40 (2013), 2352–59. 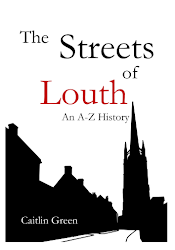 2 See, for example, C. R. Green, 'Thanet, Tanit and the Phoenicians: place-names, archaeology and pre-Roman trading settlements in eastern Kent? 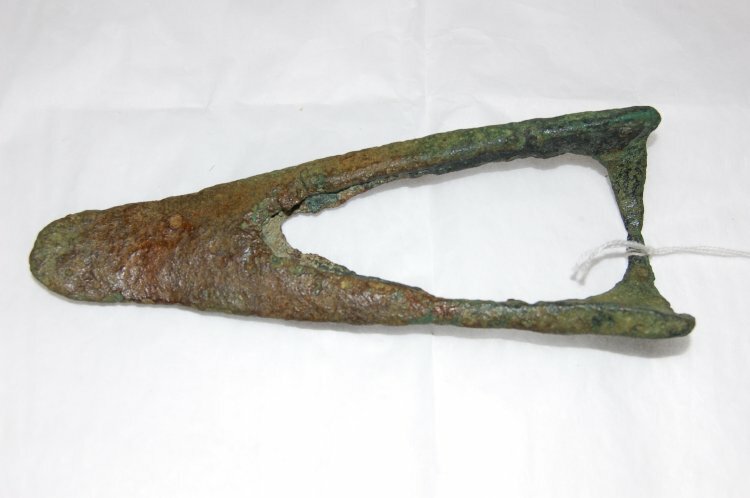 ', 21 April 2015, blog post, online at http://www.caitlingreen.org/2015/04/thanet-tanit-and-the-phoenicians.html; 'A Mediterranean anchor stock of the fifth to mid-second century BC found off the coast of Britain', 29 August 2015, blog post, online at http://www.caitlingreen.org/2015/08/a-mediterranean-anchor.html; and 'A great host of captives? A note on Vikings in Morocco and Africans in early medieval Ireland & Britain', 12 September 2015, blog post, online at http://www.caitlingreen.org/2015/09/a-great-host-of-captives.html. 3 The current oxygen isotope range for drinking water (δ¹⁸Odw) in Britain and Ireland is around -9.0‰ to -4.5‰, with only 1% of the British Isles having values above -5.0‰, namely in the extreme south-west of Britain, the extreme south-west of Ireland, and part of the Outer Hebrides, a situation that is believed to have changed little between the Mesolithic and Medieval eras. This range accords well with the apparent local British range of phosphate oxygen isotope values from excavated teeth, which is usually agreed to fall between 16.6‰ and 18.6‰ δ¹⁸Op, although Evans et al have recently concluded that people brought up on the far west of the British Isles could potentially have values a little higher too, reflecting the degree of normal ambient variation that might be seen within populations exposed to the extremes of drinking water composition within the British Isles. 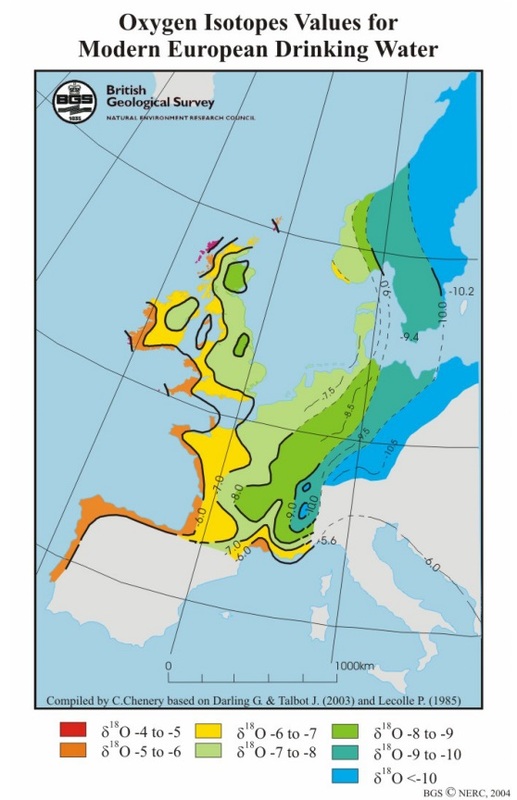 Similar or lower drinking water oxygen isotope values, from <-10.0‰ to -5.0‰, are found across much of western Europe, as can be seen from the first map reproduced above. In contrast, southern Iberia has notably higher drinking water/precipitation δ¹⁸O values, from -5.0‰ up to a maximum of c. -4.0‰, except around Cádiz where drinking water values of up to c. -3.5‰ have been noted, and North Africa has values from the British range right up to around 0‰, with even higher values found in parts of Sudan (ancient Nubia) and Ethiopia. See further on Britain W. G. Darling et al, 'The O and H stable isotope composition of freshwaters in the British Isles. 2. Surface waters and groundwater', Hydrology and Earth System Sciences Discussions, 7 (2003), 183–95; J. A. Evans et al, 'A summary of strontium and oxygen isotope variation in archaeological human tooth enamel excavated from Britain', Journal of Analytical Atomic Spectrometry, 27 (2012), 754–64 at pp. 757–8 and Table 1; C. Chenery et al, 'Strontium and stable isotope evidence for diet and mobility in Roman Gloucester, UK', Journal of Archaeological Science, 37 (2010), 150–63 at pp. 153, 156–7, 160. On mainland Europe and Africa, see BGS/C. Chenery, 'Oxygen isotopes values for modern European drinking water' (map), online at www.wessexarch.co.uk/projects/amesbury/tests/oxygen_isotope.html; Evans et al, 'Summary of strontium and oxygen isotope variation', fig. 12; G. Bowen, 'Waterisotopes.org: global and regional maps of isotope ratios in precipitation', online dataset 2003–15, figures online at http://wateriso.utah.edu/waterisotopes/pages/data_access/figures.html; L. J. Araguas-Araguas & M. F. Diaz Teijeiro, 'Isotope composition of precipitation and water vapour in the Iberian Peninsula', in IAEA, Isotopic composition of precipitation in the Mediterranean Basin in relation to air circulation patterns and climate (Vienna, 2005), pp. 173–90 at fig. 3; M. R. Buzon & G. Bowen, 'Oxygen and carbon isotope analysis of human tooth enamel from the New Kingdom site of Tombos in Nubia', Archaeometry, 52 (2010), 855–68, esp. Table 2; C. White et al, 'Exploring the effects of environment, physiology and diet on oxygen isotope ratios in ancient Nubian bones and teeth', Journal of Archaeological Science, 31 (2004), 233–50 and Table 2. 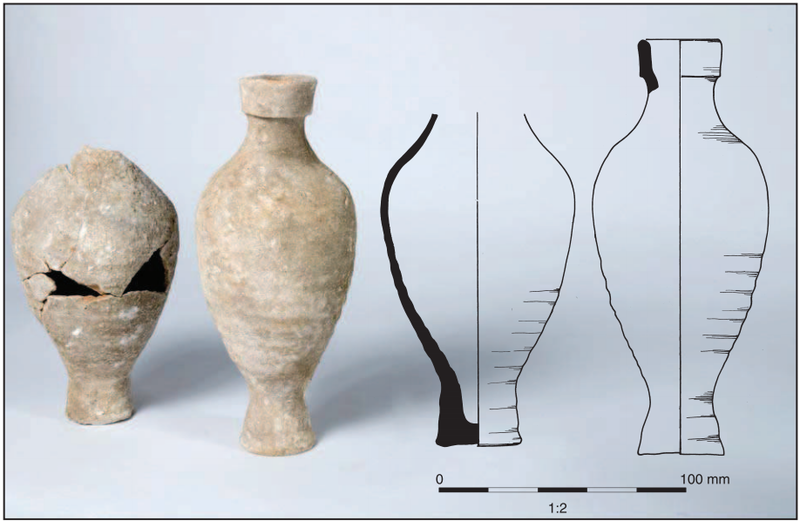 4 K. A. Hemer et al, 'Evidence of early medieval trade and migration between Wales and the Mediterranean Sea region', Journal of Archaeological Science, 40 (2013), 2352–59. 5 See further the references cited in footnote 4, especially Evans et al, 'Summary of strontium and oxygen isotope variation', fig. 12, and Araguas-Araguas & Diaz Teijeiro, 'Isotope composition of precipitation and water vapour in the Iberian Peninsula', fig. 3. See also K. Killgrove, Migration and Mobility in Imperial Rome (University of North Carolina PhD Thesis, 2010), pp. 263, 280, 284–5, 310–11 who identifies the three people in her study of Rome who have oxygen isotope results indicative of consuming drinking water with a δ¹⁸O value above -4.0‰ as probable North African immigrants to the city, rather than European. 6 See, for example, M. Fulford, 'Byzantium and Britain: a Mediterranean perspective on post-Roman Mediterranean imports in western Britain and Ireland', Medieval Archaeology, 33 (1989), 1–6; E. Campbell, Continental and Mediterranean Imports to Atlantic Britain and Ireland, AD 400–800, Council for British Archaeology Research Report 157 (York, 2007); E. Campbell & C. Bowles, 'Byzantine trade to the edge of the world: Mediterranean pottery imports to Atlantic Britain in the 6th century', in M. M. Mango (ed. ), Byzantine Trade, 4th-12th Centuries: The Archaeology of Local, Regional and International Exchange (Farnham, 2009), pp. 297–314; T. M. Charles-Edwards, Wales and the Britons, 350–1064 (Oxford, 2013), pp. 222–3. 7 Hemer et al, 'Evidence of early medieval trade and migration between Wales and the Mediterranean Sea region', 2357–8. 8 S. E. Groves et al, 'Mobility histories of 7th–9th century AD people buried at early medieval Bamburgh, Northumberland, England', American Journal of Physical Anthropology, 151 (2013), 462–76. 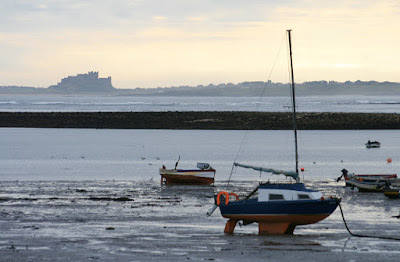 The description of Bamburgh as 'the royal city' of Bernicia is that of Bede, writing in the first half of the eighth century (Historia Ecclesiastica, III.6). With regard to the documentary evidence for Africans in Anglo-Saxon England, see also Historia Ecclesiastica IV.1, where Bede describes Hadrian, the later seventh- and eighth-century Abbot of St Augustine's, Canterbury, as 'a man of African race' (HE IV.1). 9 Groves et al, 'Mobility histories of 7th–9th century AD people buried at early medieval Bamburgh', esp. pp. 465, 470 and Supplementary Figure 7. 10 P. Booth et al, The Late Roman Cemetery at Lankhills, Winchester: Excavations 2000–2004 (Oxford, 2010), pp. 421–8; H. Eckardt et al, 'Oxygen and strontium isotope evidence for mobility in Roman Winchester', Journal of Archaeological Science, 36 (2009), 2816–25. 11 Evans et al, 'Summary of strontium and oxygen isotope variation', fig. 11 & pp. 760–2. 12 Booth et al, The Late Roman Cemetery at Lankhills, pp. 249–51, 361, 509–16. 13 G. Müldner et al, 'The ‘Headless Romans’: multi-isotope investigations of an unusual burial ground from Roman Britain', Journal of Archaeological Science, 38 (2011), 280–90; S. Leach et al, 'Migration and diversity in Roman Britain: a multidisciplinary approach to the identification of immigrants in Roman York, England', American Journal of Physical Anthropology, 140 (2009), 546–61. 14 Leach et al, 'Migration and diversity in Roman Britain', Table 4 and pp. 546, 550–2, 558–9; S. Leach et al, 'A Lady of York: migration, ethnicity and identity in Roman Britain', Antiquity, 84 (2010), 131–45. On the isotopic values of water in North Africa, see for example Evans et al, 'Summary of strontium and oxygen isotope variation', fig. 12, and G. Bowen, 'Waterisotopes.org: global and regional maps of isotope ratios in precipitation'. 15 C. Chenery et al, 'Strontium and stable isotope evidence for diet and mobility in Roman Gloucester, UK', Journal of Archaeological Science, 37 (2010), 150–63, who note that 'the probability of these [individuals] being from Britain is small and an origin abroad is more likely' (p. 158). 16 The above is based primarily on J. I. McKinley et al, 'Dead-sea connections: a Bronze Age and Iron Age ritual site on the Isle of Thanet', in J. T. Koch & B. Cunliffe (eds. ), Celtic from the West 2. Rethinking the Bronze Age and the Arrival of Indo-European in Atlantic Europe (Oxford, 2013), pp. 157–83, esp. pp. 166–8 and figs. 6.5, 6.6 and 6.7. 17 The oxygen isotope values from the Mendes burial site in the Nile Delta, Egypt, are expressed as both δ¹⁸Odw and δ¹⁸Oc in Buzon & Bowen, 'Oxygen and carbon isotope analysis of human tooth enamel from the New Kingdom site of Tombos in Nubia', Table 2, and the latter can be converted to δ¹⁸Op using the equation in C. Chenery et al, 'The oxygen isotope relationship between the phosphate and structural carbonate fractions of human bioapatite', Rapid Communications in Mass Spectrometry, 26 (2012), 309–19. Needless to say, the δ¹⁸Op and equivalent δ¹⁸Odw values of the two people from Thanet fall within both the reported δ¹⁸Odw and the calculated δ¹⁸Op ranges for Mendes, and are moveover above the bottom of the range of δ¹⁸Op values for people who grew up in the Nile Valley (21.0‰) as reported in Chenery et al, 'Strontium and stable isotope evidence for diet and mobility in Roman Gloucester, UK', p. 158. 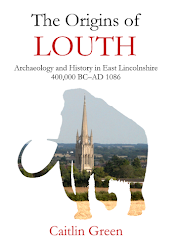 18 On pre-Roman Iron Age contacts, see especially C. R. Green, 'Thanet, Tanit and the Phoenicians: place-names, archaeology and pre-Roman trading settlements in eastern Kent? ', 21 April 2015, blog post, online at http://www.caitlingreen.org/2015/04/thanet-tanit-and-the-phoenicians.html, and 'A Mediterranean anchor stock of the fifth to mid-second century BC found off the coast of Britain', 29 August 2015, blog post, online at http://www.caitlingreen.org/2015/08/a-mediterranean-anchor.html. On the Barbary ape from Navan Fort, Northern Ireland, see for example I. Armit, Headhunting and the Body in Iron Age Europe (Cambridge, 2012), pp. 72–3, and K. A. Costa, 'Marketing archaeological heritage sites in Ireland', in Y. M. Rowan and U. Baram (eds. ), Marketing Heritage: Archaeology and the Consumption of the Past (Walnut Creek, 2004), pp. 69–92 at p. 73. On possible finds of Late Bronze Age Mediterranean items from Britain, see for example S. Needham & C. Giardino, 'From Sicily to Salcombe: a Mediterranean Bronze Age object from British coastal waters', Antiquity, 82 (2008), 60–72, and D. Parham et al, 'Questioning the wrecks of time', British Archaeology, 91 (2006), 43–7, online at http://www.archaeologyuk.org/ba/ba91/feat2.shtml. A possible three-holed Bronze Age stone Mediterranean anchor from Plymouth Sound has been mentioned in news reports relating to the SHIPS Project/ProMare, but is as yet unidentified on the database for this project; see T. Nichols, 'Unique project launched to shed light on hidden treasures in Plymouth Sound', Plymouth Herald, 5 July 2014, online at http://www.plymouthherald.co.uk/Shedding-light-hidden-treasures-Sound/story-21332210-detail/story.html, although it should be noted that the dating and geographical origins of such stone anchors is open to debate.